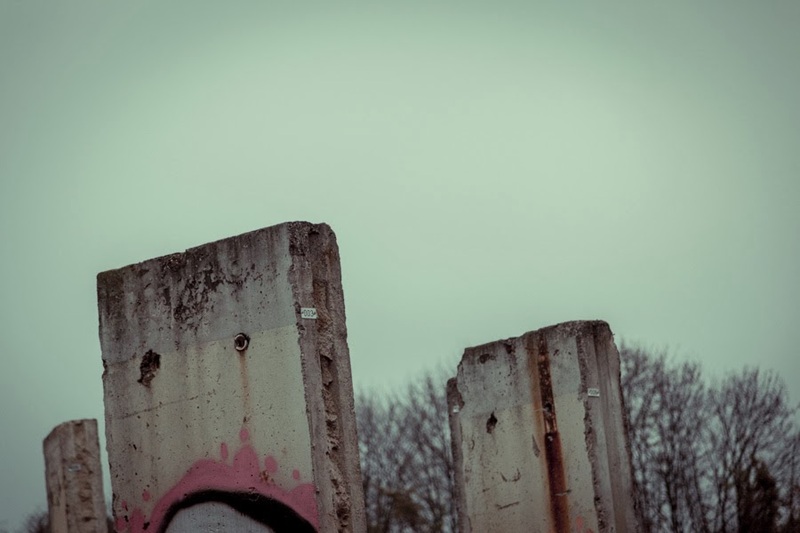 There are different standard mistakes regarding the Berlin Wall. 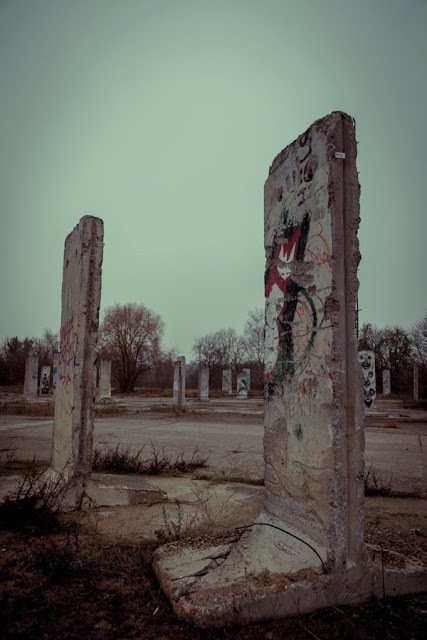 For some people it was a line separating east and west (with different meanings of it), for some other it was a very huge tall wall breaking in two the city and so on. 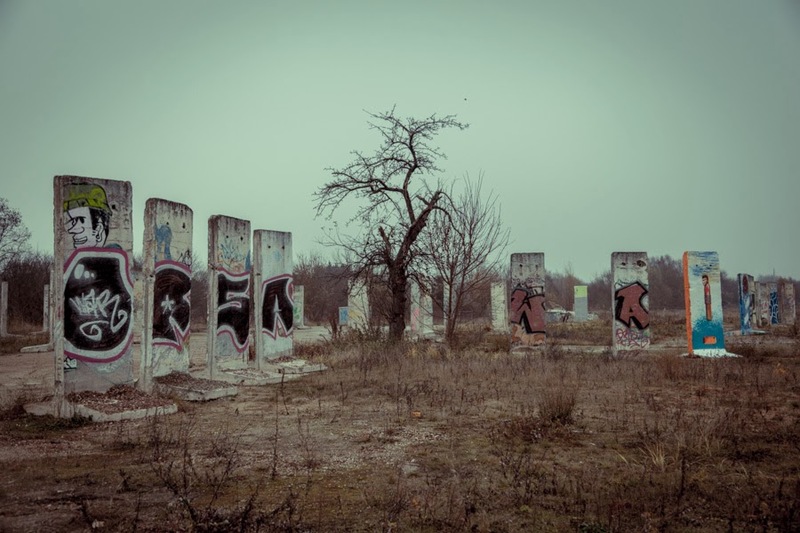 Reality was that it was not just a single wall, but a set of fortifications built by time to time, one in the other, to separate two countries. 160 km of different possible fortifications made by bricks in the beginning, then with concrete; deathstrips, briked up windows, demolished buildings, watching towers and tanks in the middle. 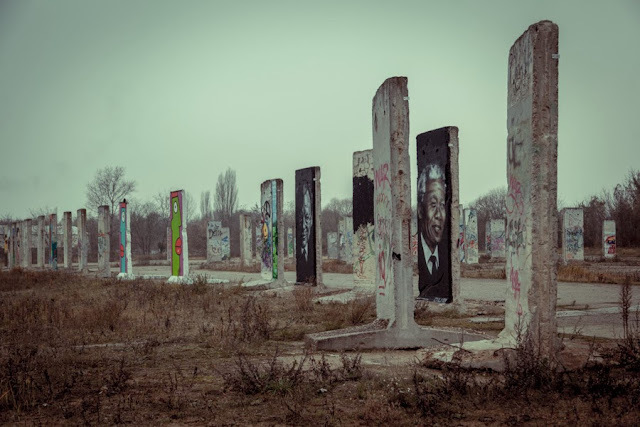 All of ths built not in one time but in 30 years, changed year by year, in a circle around West Berlin and with some checkpoints (like the famous Charlie or Bornholmer Brücke). And what happend to this 160km of concrete then? 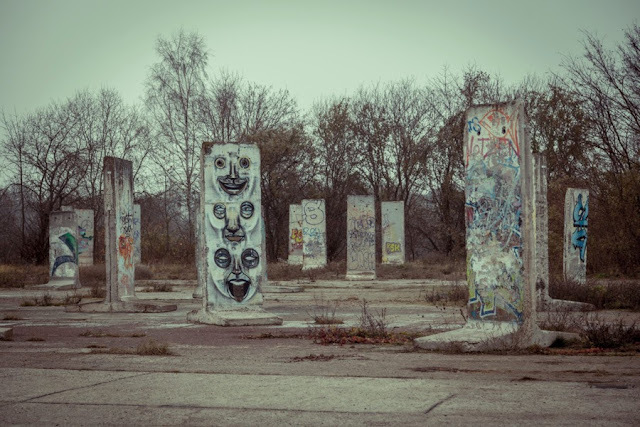 For most people it has already been sold to the tourists piece by piece, brick by brick, for others it has been sold to other coutries, to private investors and so on. Reality is that although all of this is true, it's very hard to think that you can sell all of it in this way. 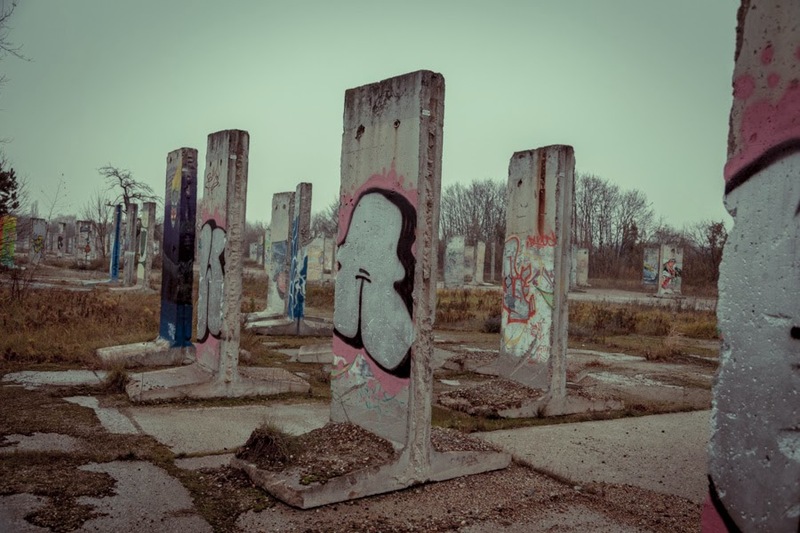 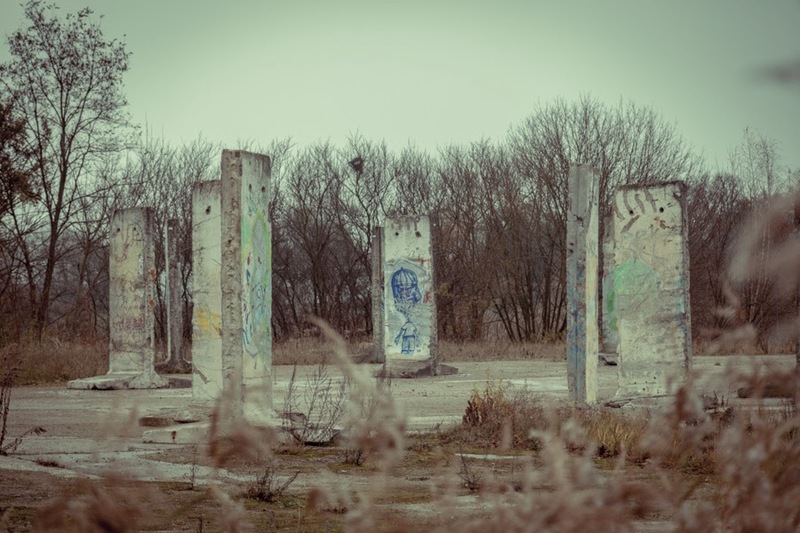 Some auctions have been made and of course the first ones were very productives, but then the attention of the world has changed and the wall is in small pieces still all around berlin. 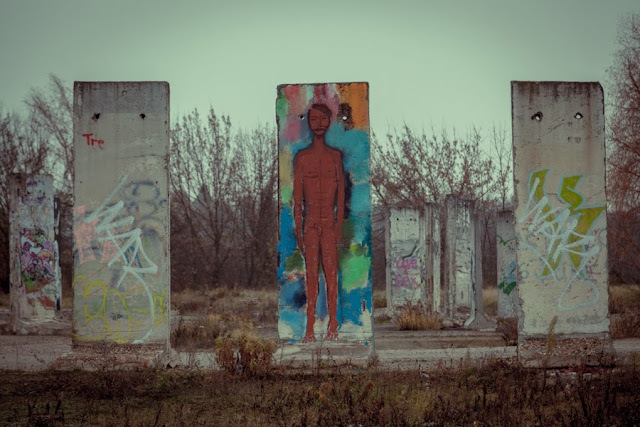 Sometimes you can find some pieces in the backyards of building, some of it is still up at the East Side Gallery (although some investors would like to demolish it to make luxury buildings - read Die Mauer Müss Bleiben or David Hasselhoff & The Berlin Wall published here in the past). 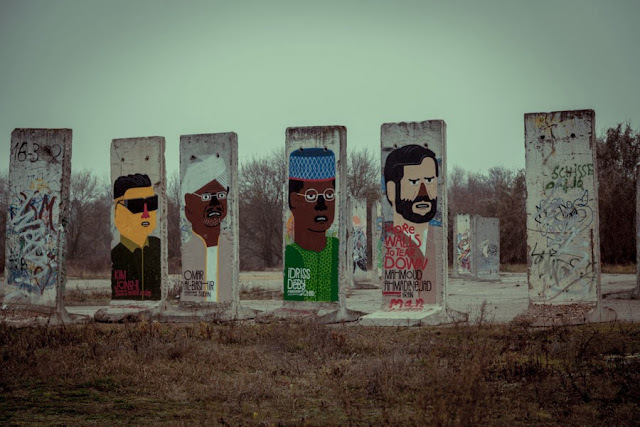 This collection of Berlin Wall pieces is south of Berlin, on the other side of a fence, just by the street. 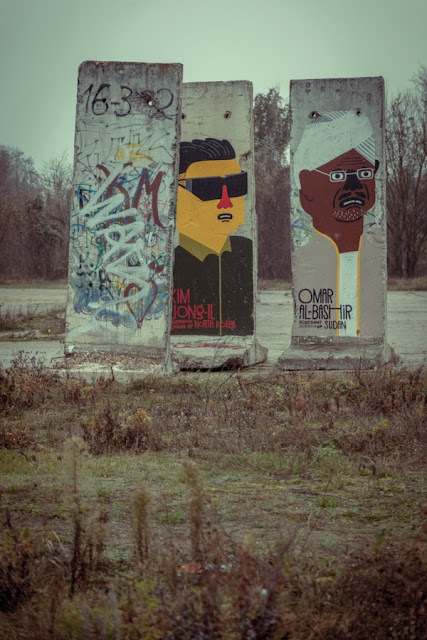 Apparently abandoned, used by street artists to make some good artwork, but essentially left as is.